Cooling and heating the house occupy a large part of our summer and winter life. We start readying out HVAC even before the advent of the season to ensure that it will survive through the peak months. All the air that is blown by the central unit does not necessarily reach the rooms for heating or cooling. It is lost in various ways. This causes problem in airflow that reduces the level of comfort. A good airflow will keep your house cooler and help cut energy costs. Ducts of a house conduct cool or warm air to various rooms from the central heating and cooling unit. When laying duct work, several stretches of ducts are screwed into one another to make a long duct run. These joints of ducts in most situations are leaky, through which air coming from the central unit seeps out. The airflow to the rooms as a result is reduced leading to lower level cooling or heating. The joints of the ducts should be sealed with an approved mastic or sealant. You will observe a conspicuous and direct improvement in flow of air to the rooms. In a HVAC system, the air is blown through the ducts by a blower to send it to the rooms through a network of ducts. When the air is blown from the central unit, it has a strong pressure. But as it moves towards the rooms, its pressure gradually decreases. Moreover, if there are too many turns and bends on the way, the velocity decreases. As a result, a marginal amount of air reaches the rooms. The problem in airflow happens due to poor design of the home, poor installation of HVAC system, or faulty layout of duct work. The solution to such a problem is modifying the ventilation system. You can install zones within the ventilation system. Each zone will have dampers that will regulate air flow. In forced air system, air flows from central unit to the rooms through the supply ducts and registers. Once the room is cooled or heated, the air returns to the central unit through grilles and return vents. It has been found that in many occasions although there is a supply vent, the return vent is lacking. 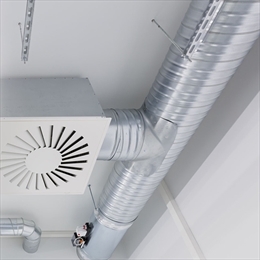 The lack of return air duct disables the air from circulating or flowing. A fan blower plays a very crucial role in a forced air system. 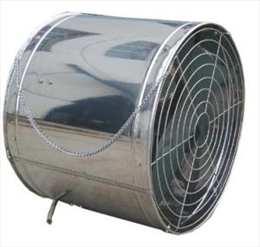 It blows and distributes air through the ducts to various rooms of the house. Overtime dust and debris builds on the blades. A matted layer of gunk almost covers the blower making it incapable of rotating. A HVAC unit should be serviced by a professional once a year for proper cleaning and maintenance. The evaporator coil of an air conditioner plays a pivotal role in the functioning of the system. The hot room air is passed over the coil. The coil is made up of tiny fins that absorb heat and cool the air. These fins get covered with dirt over time. As result the air flow is reduced. An annual servicing of your A/c will ensure cleaning of the evaporator coil and the fins. Sometime the joints of the ducts get disconnected or the ducts get kinked or crushed at many places. You can open the register and check the ventilation line with a flashlight and mirror. If you find a disconnection that is within your reach, refasten the ducting together with sheet metal screws and seal the joint. Sometimes flex ducts get crushed or bitten by rodents. In such a situation, replace the defective duct. The disconnection may happen in remote areas of the ducts that cannot be spotted through the register. In such situations call a HVAC technician who will detect them with a fiber-optic camera and do the needful to repair it. Besides these a wrongly sized HVAC will also create problem in air flow. An over sized unit will cycle on and off to fast, making the rooms uncomfortable. An undersized unit will not be able to cool optimally. It will work harder to do so. This will increase your utility bills too. Check if the vents are blocked by furniture or drapery. The duct should be cleaned from time to time of the gunk that builds up inside. All these contribute in obstructing the airflow. The filter of a HVAC plays a crucial role. It screens the air of dust, allergens, pollen, bacteria and other contaminants. But when the filter gets clogged with debris, it prevents the flow of air. This will not only reduce the airflow but may also affect the working of other parts of HVAC such as a compressor. Therefore change your filters regularly.